Get yourself to Mercat Bistro for a croissant right now! This month's Dallas Blogger Brunch was in the Harwood District at the French-inspired Mercat Bistro. (How amazing does that bread basket look?!?) 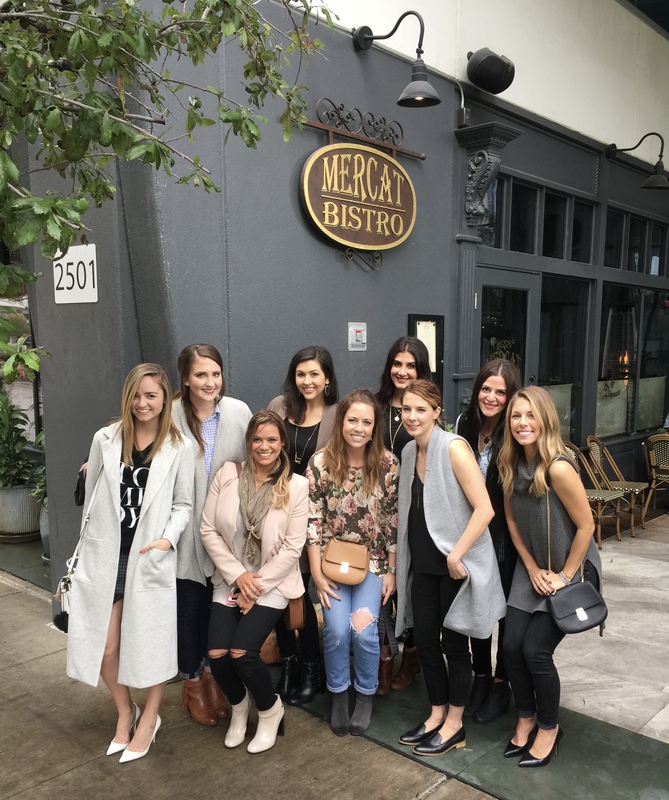 Each month since January 2015, I have hosted a brunch at a Dallas restaurant and invited bloggers form relationships other outside of social media, and this month's brunch at Mercat did not disappoint! 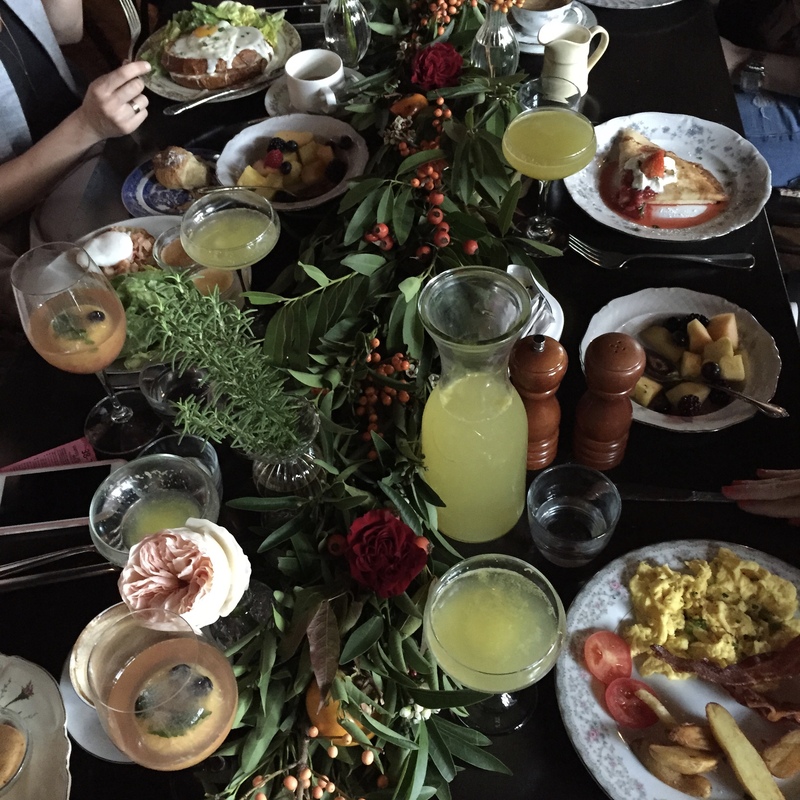 You can see all of my past brunches for delicious Dallas restaurant recommendations. This stunning fall floral table runner was designed by Lauren, of The Backyard Bouquet. The power of flowers to transform a space always amazes me. 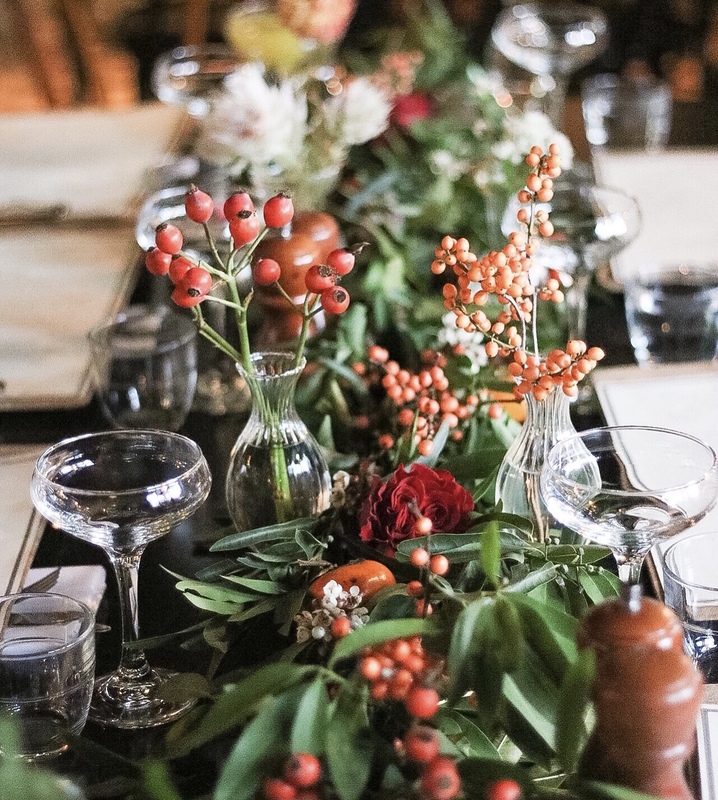 The mood of the table runner matched the cozy interior of Mercat Bistro and the cloudy weather we were having in Dallas- the perfect mix for a beautiful fall floral centerpiece. I still can't stop staring at photos of the table! I showed a friend these photos and asked him if he had ever been to Mercat before; he said no and asked if all the tables were decorated like this. I had to say no, of course; the normal tables are nice, but these flowers made our brunch table extra special. Having just returned from Italy a few days prior to brunch, it felt like a return to European breakfast when they brought out the bread basket- chocolate filled croissants are always a crowd pleaser! 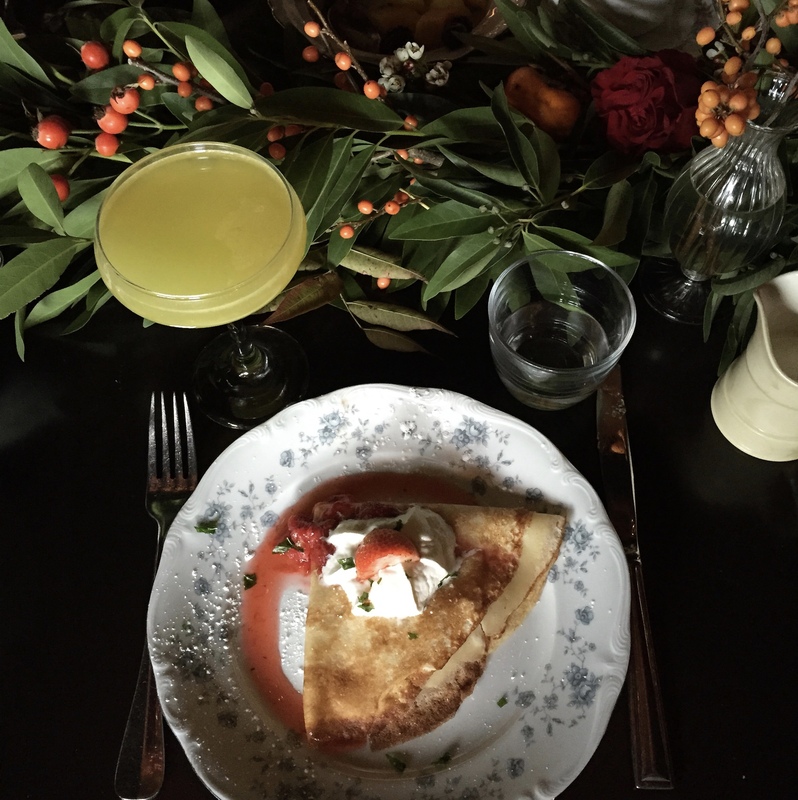 Other brunch menu items include classics like eggs benedict, croque madame, and quiche, among other tasty options. I loved getting to spend time with these lovely ladies: (bottom row L to R) Taylor, Melissa, Sandra, Lauren, Natalie, (top row L to R) Kari, myself, Lexi and Kelsie. I love brunch and hosting events, but getting to catch up with old friends over my favorite meal and meet new ones each month is my favorite part of hosting Dallas Blogger Brunch. I ordered the strawberries + marscapone crepe as opposed to anything with protein in it- oops, but it was so good. I felt like I was at a creperie in Paris instead of in Dallas, Texas! Our waitress was so kind and took no less than 19 photos of our group, explained all of the menu items that we had questions about, and made great suggestions. I love that brunch at Mercat Bistro gave a rainy, dreary day a bright start; Mercat, I will definitely be back soon! Special thanks to Mercat Bistro for hosting Dallas Blogger Brunch.